Home / Store / Who Am I? Who Are You? 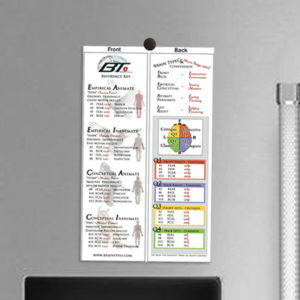 This DVD briefly relates Brain Typing to 8 different areas of life, including relationships/romance, family/parenting, business, sports, education, spirituality, and health (including weight control). 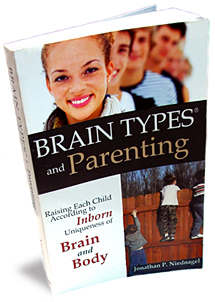 This DVD briefly relates Brain Typing to 8 different areas of life, including relationships/romance, family/parenting, business, sports, education, spirituality, and health (including weight control). 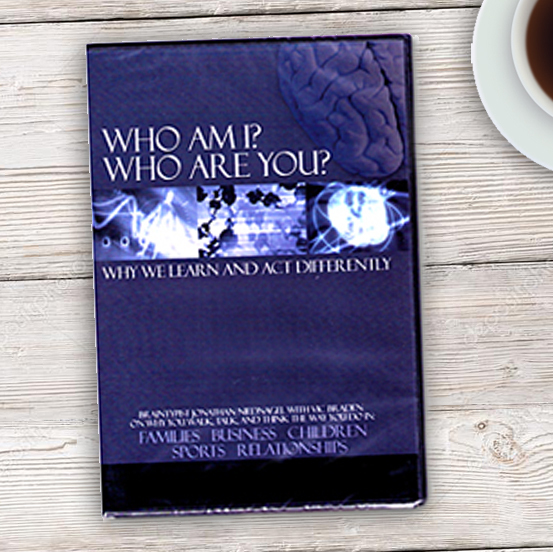 With numerous testimonials from all walks of life, as well as self-descriptions from representatives of each of the 16 Brain Types (both men and women represented), Who Am I? Who Are You? has something for everyone. You’ll hear how Brain Typing all began, its application for today, and the many possibilities as to where it may take us tomorrow. Along with validation from the scientific community, Jon P. Niednagel further explains the eight personal preferences (E & I, S & N, etc.) with men and women models of each. To capture the attention of sport enthusiasts, Niednagel carefully illustrates the relationship between motor/body skill proficiency and Brain Type, the information which continues to revolutionize the effectiveness of coaches and athletes at every level. Be the first to review “Who Am I? Who Are You?” Click here to cancel reply.